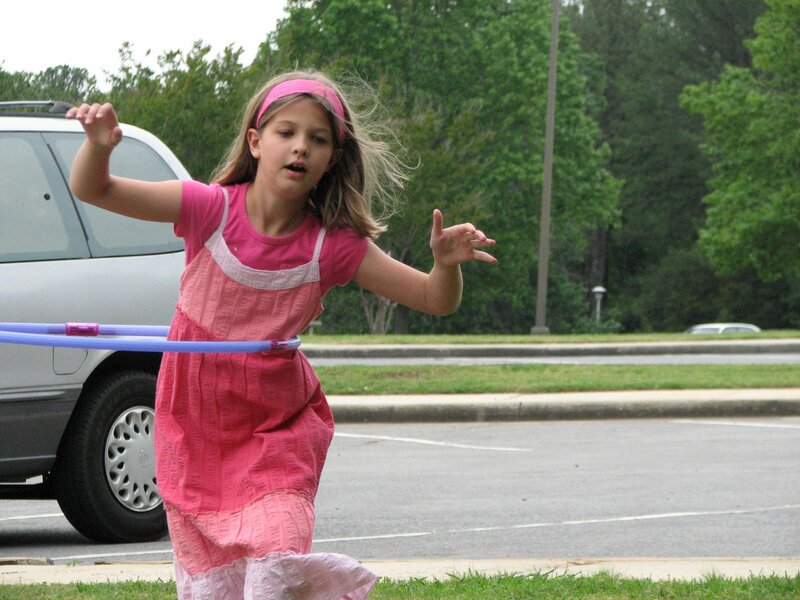 Ever since field day, Abigail has been obsessed wtih learning to hula hoop. And, in typical Abigail fashion…she mastered it in a week. 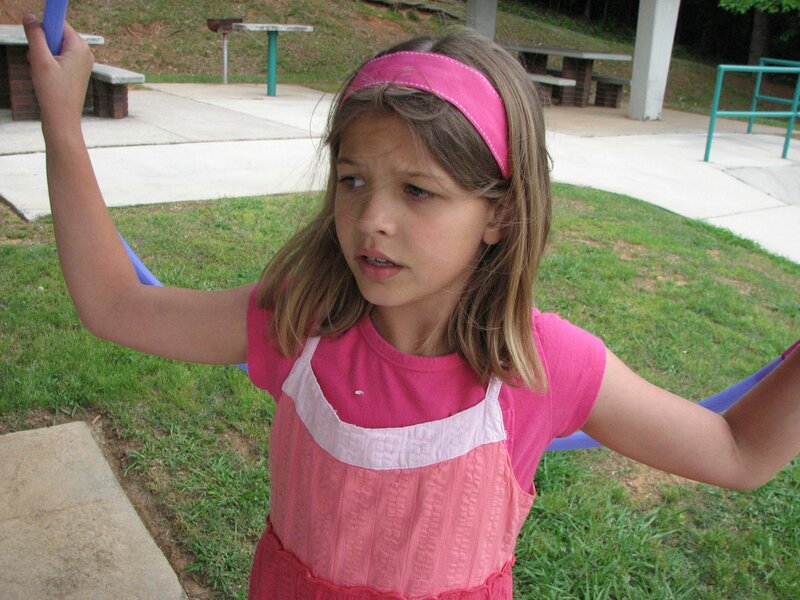 Here is Abigail at the rest stop. 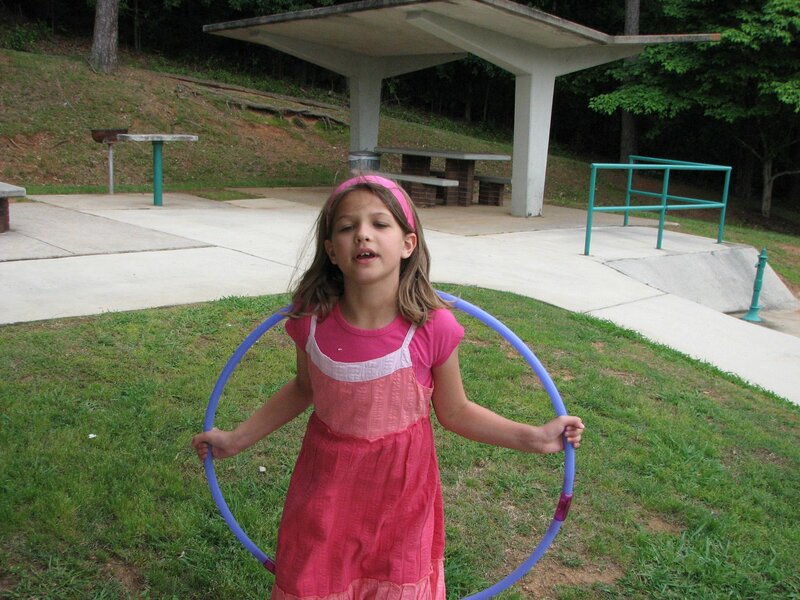 her birthday dress and her birthday hula hoop. Abigail came home from school on Monday and surprised us with her news. She had signed up for the impromptu 3rd grade talent show. She would be doing the hula hoop. 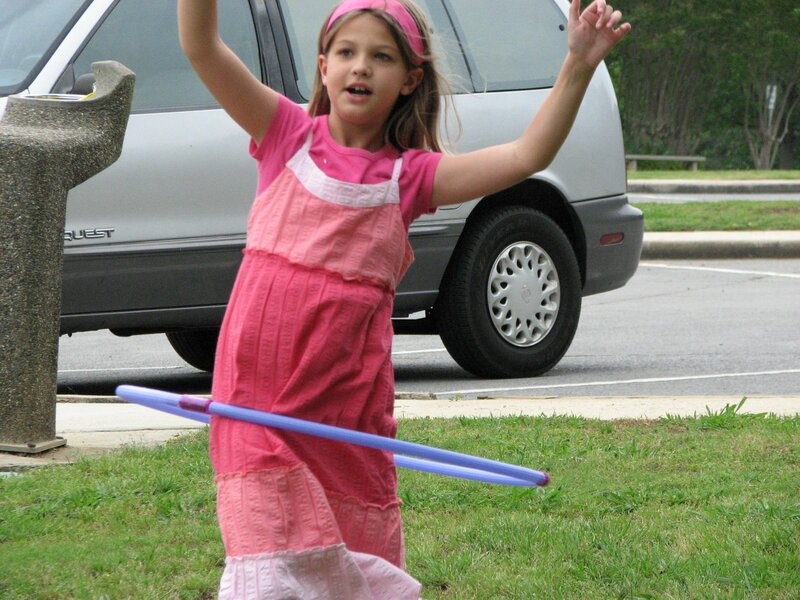 Overnight, she taught herself to hulahoop around her neck down to her waist. She taught herself to turn around while hula hooping and to do some jumping tricks. She reported that she was a big hit yesterday. She hula hooped to Alvin and the Chipmunks. Appropriate for the lyrics, don’t you think? 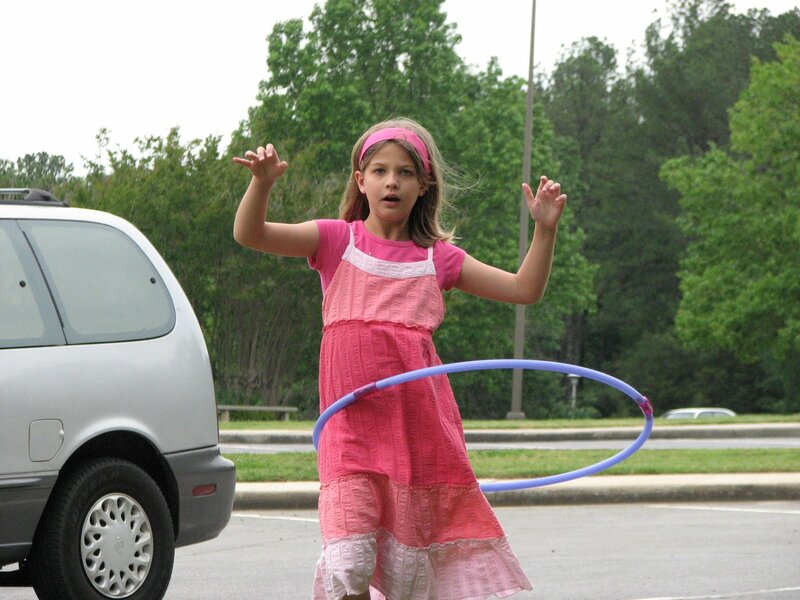 I love hula hooping. Sad thing is there isn’t much room between me and the hoop anymore. I used to rock it too. She is great for teaching herself in a day. Way to go Abigail! She looks so cute in those photos Alice!